The “digital” buzzword is to today's business world what “internet” was in the 1990s. And "digital transformation" covers a wide range of new (but different) technologies now in the same way that "the internet" once did, encompassing innovations such as big data analytics, machine learning, artificial intelligence, natural language processing, and robotic process re-engineering. Yet it is a deceptive half-truth to assume that the deployment of bleeding-edge technology is all that is needed for digital success. Moreover, it is a half-truth that can lead to costly mistakes. An example of this was seen back in the 1990s with many rollouts or upgrades of enterprise resource planning (ERP) systems. ERP applications automate and integrate corporate functions such as customer relationship management, supply chain, manufacturing, finance and HR. However, many epic ERP failures have nothing to do with technical issues. The software works as advertised, but the project fails because companies do not take account of the human element: unrealistic expectations, ignoring key stakeholders across the organisation, lack of project management, insufficient resource commitment, low employee engagement and training. A classic root cause of failure is the assignment of ERP rollout responsibility to the head of IT, rather than to a committee of business stakeholders. The error stems from the limiting belief that ERP is a software product rather than a tool for business re-engineering that enables significant performance and productivity growth. As the "internet" did over twenty years ago, "digital" transformation brings accelerating, unpredictable and disruptive change to the lives of people and companies. Digital refers specifically to the impact of a broad area of technologies on the ability of companies to innovate, and the way in which they can adapt to accelerating change in markets and competition in an era ruled by customer experience. And do we live in times of change! Innovation must be embedded in the culture of an organisation. Unlike the deployment of technologies, innovation cannot be mandated because it occurs only under the right circumstances, fostered by a culture that nourishes it. Although innovation always starts with creativity – the ability to generate new ideas – it needs to go one critical step further. 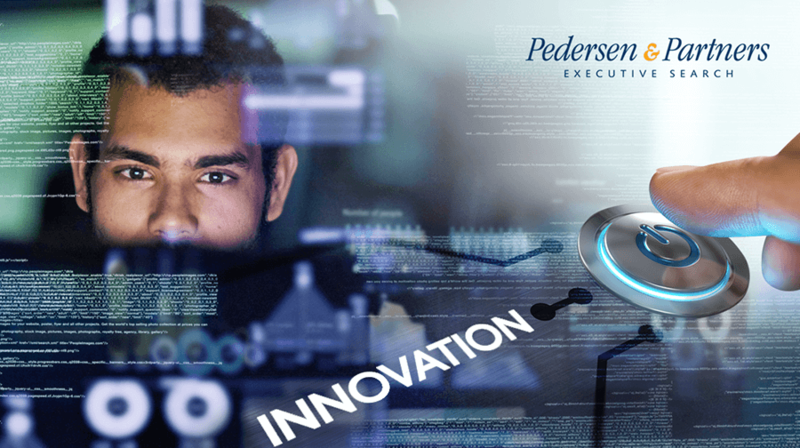 Innovation adds the capability to execute on an idea, or bring it to market in the form of a new product, service or a value improvement on existing offerings. In other words, creativity is a product of imagination, whereas innovation is a product of implementation. Creativity is risk-free, whereas innovation is not. Therefore, an organisation can be creative while still failing to be innovative. Xerox was certainly creative, as they invented many groundbreaking technologies at their PARC R&D centre. However, they never managed to take them to market, unlike Steve Jobs who after one visit to PARC incorporated the idea of a mouse and graphical interface into the design of the first Macintosh computer. Innovation is hard. Many of the large incumbent technology companies like Cisco, HP or IBM consistently return increasing amounts of profit to shareholders in the form of dividends and share buybacks, but their growth has stalled because they lack or struggle with innovation, unlike newer organisations such as Google, Amazon or Facebook. In 2015, US public companies returned nearly a trillion dollars to shareholders, apparently unable to find the means to deploy capital at attractive ROIs. Add low interest rates, and it’s clear that capital has increasingly become a commodity seeking higher returns in the form of VC investments. There are several ways in which organisations can innovate; innovations can be sustaining (continuous improvement of services or products to existing customers), disruptive (re-defining markets and discovering new business models) or efficient (doing things more cost-effectively). Technology start-ups run rings around traditional companies that typically are built on a culture of risk avoidance, information compartmentalisation and process or task adherence. The latter struggle to innovate because their culture incentivises process adherence and higher profits rather than responding strategically to the market changes happening around them. They are at risk of disruption, or worse, obliteration. Innovation can form part of a strategy, but it will only succeed when the cultural foundations (values, business structure and organisation) are re-engineered away from a command-control management structure, or process/task adherence culture. Adopting a “digital strategy” alone will not suffice. Strategy is intention, while culture is habit. While people may be loyal to a company's culture, they are not loyal to its strategy. The digital culture and mindset tend to conflict with the management culture of traditional organisations, and the way in which these businesses have been managed for many decades. For this reason, a successful digital transformation is not easy to pull off. Digital companies start with customer experience and build their entire business model, organisation, strategy, and processes around it. They apply design-thinking methodology to focus relentlessly on the continuous improvement of customer experience across all go-to-market channels and brand touch points. The digital mindset defaults to yes, and allows for a high degree of freedom, autonomy and experimentation. Digital organisations have a high-trust environment by default. Traditional companies aim to limit risk because failure is expensive, and therefore default to no. Digital companies apply “mission control”: the leadership sets context and objectives, which empowers employees to develop concrete actions, with increasing autonomy the closer they are to the customer. The digital management culture focuses on developing and inspiring employees, versus ensuring process and task adherence in traditional companies. Google famously took the power to hire, fire, reward or punish away from its managers, in order to foster an environment of candour where employees have the incentive to tell their managers what they need to hear, rather what they want to hear. The latter is the breeding ground for negative politics that ossifies organisations. Digital companies are data-driven. Data drives decision-making and accelerates organisational learning, which allows lean and agile product and service delivery, increasing production speed and quality while decreasing development cost and waste. Rapid experimentation, feedback loop, and subsequent iterative learning loops back into accelerating production and service delivery. Continuous improvement is not just an idea or ideal, it is the philosophical foundation of digital production and service delivery. For emerging technologies to fulfil their potential, they must be developed and utilised in an agile manner. Agile methodology stresses continuous improvement and high-trust cross-functional teams. Amazon deploys new software every second, versus some of its smaller e-commerce competitors that deploy new code daily, or even worse, only weekly. Agile does not only allow automation, testing, delivery and objective measurement to happen, the emerging technologies producing that data also enable these processes to accelerate. Finally, the most important takeaway is also the most controversial. Digital transformation is at its core a process of adapting to a new business identity. A business that has undergone a digital transformation is now an IT company, no matter what product or service it provides. An industrial company making pumps becomes an IT company producing pumps; a creative agency creating advertising becomes an IT company producing advertising solutions. A financial services organisation with a banking licence becomes an IT company with a banking licence. In these organisations, IT has become an integral part of the customer value chain instead of a cost centre. Companies seeking to increase efficiencies, productivity and customer experience must become IT-savvy, or they will founder and fail. 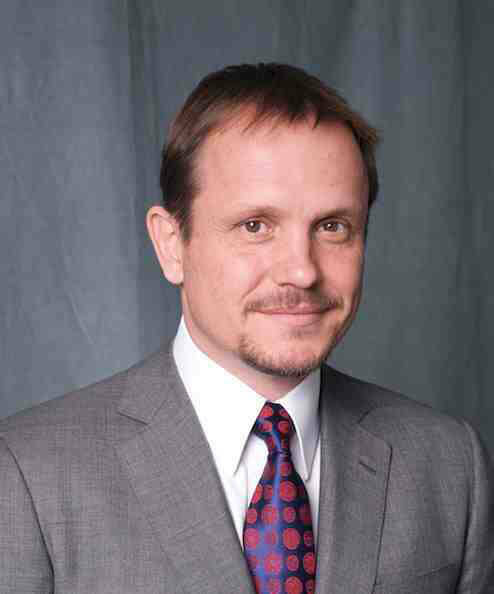 Peter D'Autry is a Partner and the Head of the Technology Practice at Pedersen & Partners. He joined Pedersen & Partners in 2006 and has successfully executed over 300 search assignments across Europe, the Middle East, India, Africa, and the U.S. Mr. D'Autry has more than 10 years of experience in international IT business development, setting up companies and distribution channels in Eastern Europe, the Middle East, and South-East Asia. In that role, he also led the development of a customised cloud-based ERP solution which was successfully deployed. Mr. D’Autry currently focuses on Digital Transformation, “Industry 4.0” and R&D search projects spanning multiple geographies, across industries. He also has a keen interest in working with VCs and growth stage start-ups both in Europe and Emerging Markets.